When reports of the mosquito-borne Zika virus first made the news in 2016, pregnant women and their families were concerned, especially if they were planning trips. Although it’s taken a back seat to other news, Zika’s still around…and if you’re pregnant or trying and planning a babymoon, it’s probably top-of-mind. Instead of skipping that last trip before baby arrives, get informed about Zika-free places for a babymoon and relax; this may be your last chance to for a while! Whether you plan a staycation, choose a cross-boarder trip or decide to go a little further than you originally planned, there are plenty of great options for a pregnancy-friendly vacation. Wondering where to start? To keep up-to-date on where not to go check the government of Canada’s list of countries with recent and ongoing cases of the virus. Now for where to go! Read on for 5 babymoon ideas to help you start planning! Visitors flock to Canada from around the world for good reason! Canada has so much to offer with it’s wild oceans, mountainous terrain, lakes and rivers and wide-open plains. And those are just a few of our country’s natural attributes. We’ve also got food, accommodations and entertainment to rival even the most competitive international destinations. Why stray far from home when we have this in our own back yard? 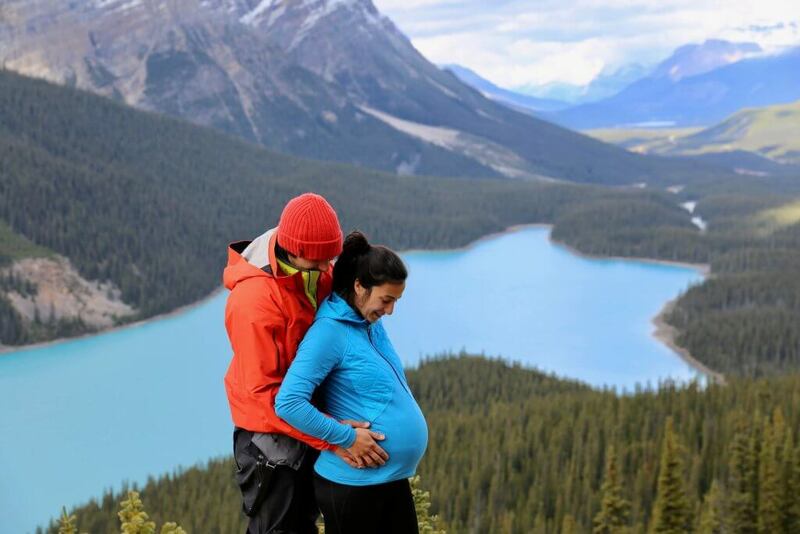 Exploring Canada’s mountains and lakes is a relaxing way for nature-lovers to spend time before baby comes. So why not take some time to explore your own city or head to the province next door for the ultimate low-stress babymoon vacation? Whether it’s a road trip (with plenty of pit stops of course) or a luxury city break, you won’t be disappointed. No Zika here! Need some pre-baby within Canada vacation ideas? Get inspired with these blog posts. Zika has affected many tropical destinations, but the US still offers some viable warm-weather options. And bonus: your travelling time will be shortened compared to an overseas trip. Destinations such as Las Vegas provide 5-star resorts, world-class food (not to mention buffets galore), and shows, shows, shows!! 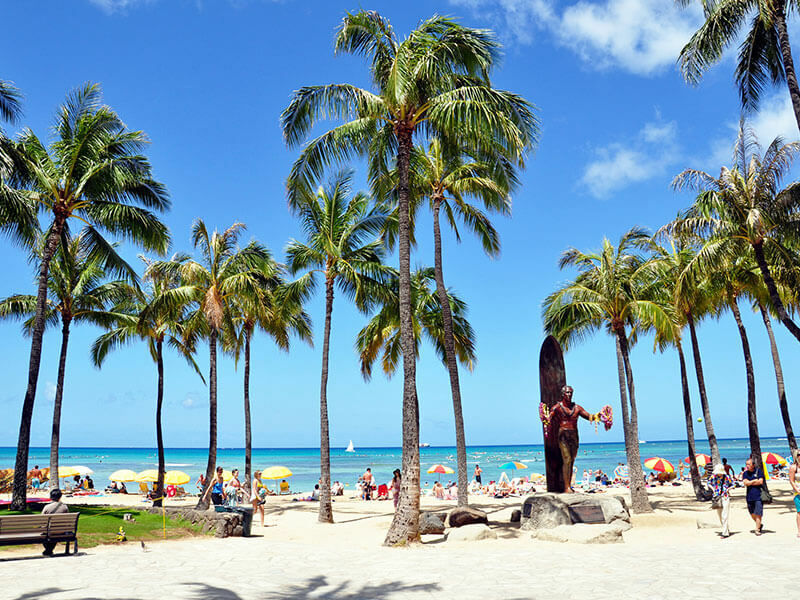 Waikiki beach in Honolulu, Hawaii provides a traditional beach vacation far from the centre of the Zika epidemic. Craving something a little sultrier? Hawaii is a classic option and has stayed off the Zika list. With sandy beaches and a plethora of relaxing resorts, Hawaii is the perfect destination for the whole family and your last vacation before baby. Want insta-worthy photo ops and bragging rights too? Consider the Seychelles. If you’re up for the journey, this unique African country won’t disappoint. Seychelles offers all the benefits of a warm-weather vacation: lush tropical vegetation, warm blue water, and a bountiful array of wildlife plus so much more. The country is also culturally-rich, making it an unusual and fascinating place to explore. 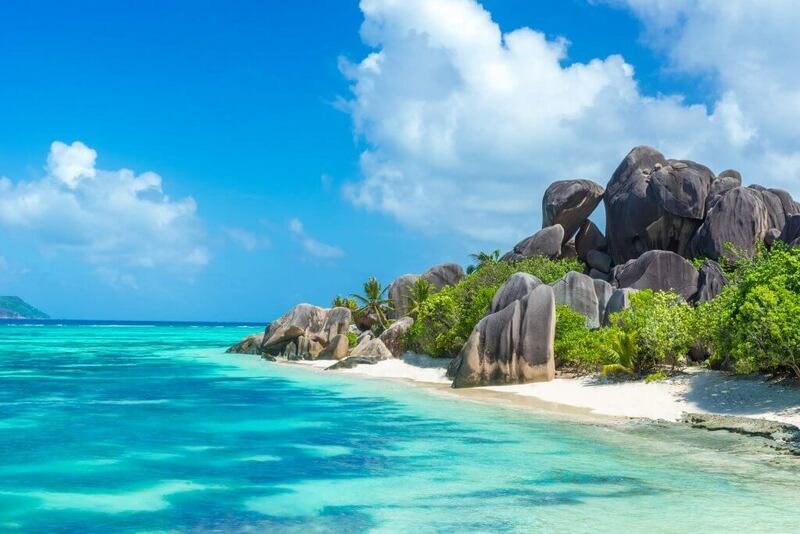 The Seychelles features pristine, blue waters and unique rock formations! No better place than this to snap some memorable pregnancy pics. If you’re not up for travelling that far, but still want to get away, consider Mallorca. Just off the coast of Spain, it’s a popular destination for Europeans looking to escape the cool weather. The island features incredible coves as well as Roman ruins, making it the perfect destination for exploring and relaxing. It’s a fact, being pregnant can make you hot! If you’re already overheated, consider avoiding the sun altogether and think about options across the pond, like London or across the border like New York, Boston, Seattle or Portland. With its famous museums and reputation for incredible theatrical shows, London is a cultural mecca. Add great shopping and historic streets, and you’re set up for an unforgettable city break. If London is your destination of choice, check out these travel tips from a former Londoner. Closer to home, the eastern seaboard features train travel and foliage viewing. While Boston and New York offer cultural and historic tours, in addition to distinct dining, music and theatre; cities like Seattle and Portland offer their own wealth of tourist attractions as well as diverse food and entertainment. 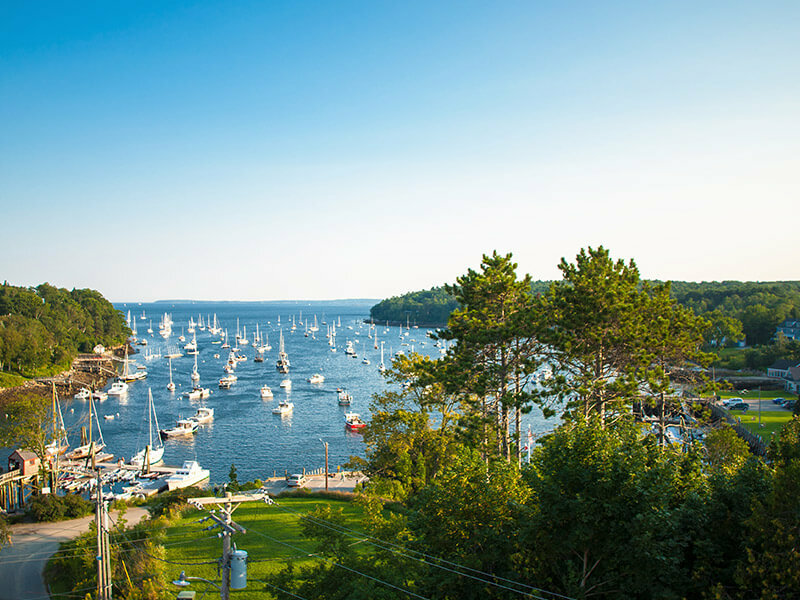 Stay a little closer to home and soak in the scenery of the eastern seaboard. Children can be expensive! So if you’re on a budget, check out our City on a Budget Series featuring New York and Seattle on a dime. While equatorial and Caribbean destinations are considered the centre of the Zika epidemic, some countries haven’t reported any local-borne cases of the virus. 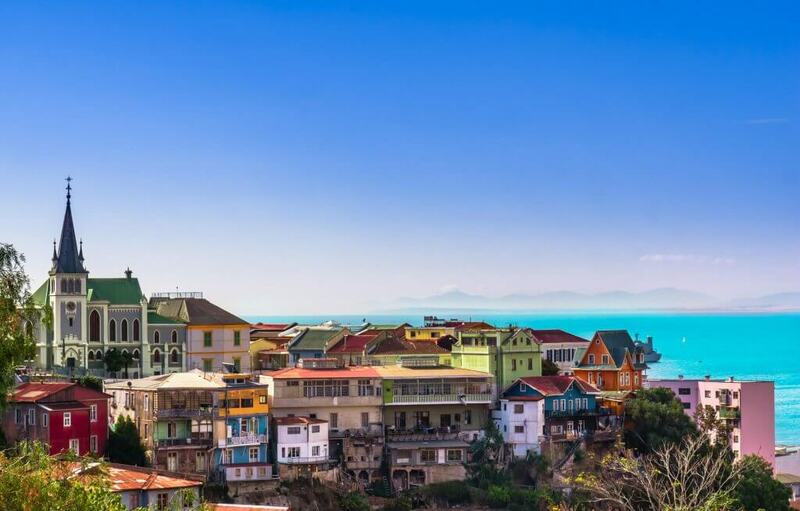 Valparaiso, Chile has not yet reported any native-borne cases of the Zika Virus. Head further south to countries like Uruguay and Chile. Although culturally similar to some of their balmier neighbours, they haven’t reported any locally contracted cases of the Zika virus. From ocean views in Montevideo to hot springs in Rio Uruguay, Uruguay will not disappoint. Or explore Chile’s endless coastline, Santiago’s sleek, bustling metropolis, the majestic Andes, or intriguing port towns like Valparaiso…not to mention, the famous Easter Island Moai! Check out this photo essay featuring adventures in Chile and get inspired. Ask your doctor or medical practitioner about the best way to avoid the virus, like wearing long sleeve shirts and pants and using insect repellants. Before you travel, check Govt. of Canada or Centers for Disease Control & Prevention for the latest information on areas impacted by the virus. Look out for Zika-related travel advisories before and after booking your vacation. Research your travel insurance coverage for your pregnancy. Here’s what you need to consider when you’re selecting travel insurance for your babymoon. Have questions related to Zika advisories for your destination or travel insurance? Share them in the comments below or contact TuGo’s Customer Service toll-free at 1-855-929-8846. Being pregnant is exciting, but it can also be stressful. That’s why it’s so important to make time to relax. We hope this list of babymoon ideas, helps make your pregnancy stress and Zika free! Have Zika travel tips of your own? Post below!